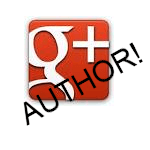 Google Authorship can help Improve Credibility and Develop Trust for your Insurance Agency! Google authorship is a quick and easy way to establish credibility at your insurance agency. As a small business owner, you’re constantly looking for ways to get noticed in your local communities and to drive traffic to your website or business door. Content marketing is without question one of the best ways to get traffic to your website. Posting well written articles on your website can produce new traffic avenues to your site and build customer engagement. What better way to get your content displayed and noticed than to participate in the Google Authorship program! Google, the leader in internet search, will provide your agency with a picture of you, your name and your article prominently in the search results. Having Google prominently display your name and picture in the results will only add to the credibility of your website and post. So, why should you care about Google Authorship? Attention: Having a picture next to your article is unique and not only lends to the credibility to your article, but helps in developing trust with the reader. Sooner Indexing: Having Google verified authorship may set your articles up to be indexed sooner than they would be otherwise. Ownership: It clearly claims ownership of the article to you! Website Traffic: More traffic = more prospects to your business. If you’re not convinced yet, consider this: It takes only one minute to verify authorship! If you already have a Google+ account, and chances are you do (even if you may not be using it), the confirmation process takes literally moments. Just go to http://plus.google.com/authorship to start the confirmation process. Tosten Marketing provides SEO services for insurance agents, we also write content for blogs, social media and more. If you’d like help with your insurance agency marketing give us a call or shoot us an email. We’re always willing to help agents with ideas to continue the march forward!